Fast Start conversation: Annually, since 2010, Chief Marketing Officer creates a CMO guide to the social media landscape. 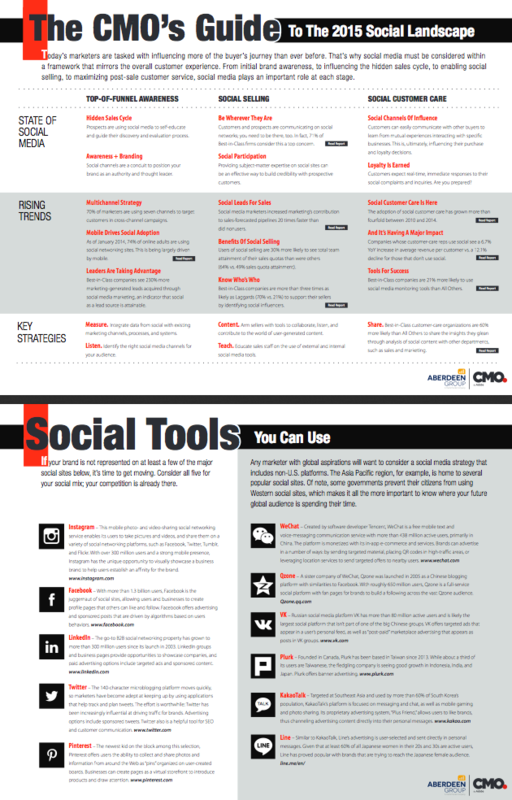 A second page provides a social mix thumbail and Asia Pacific platforms. 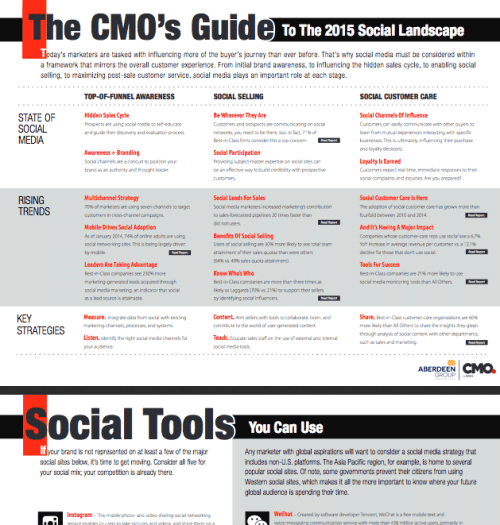 This year CMO partnered with Aberdeen Group to create the chart and links to their research. 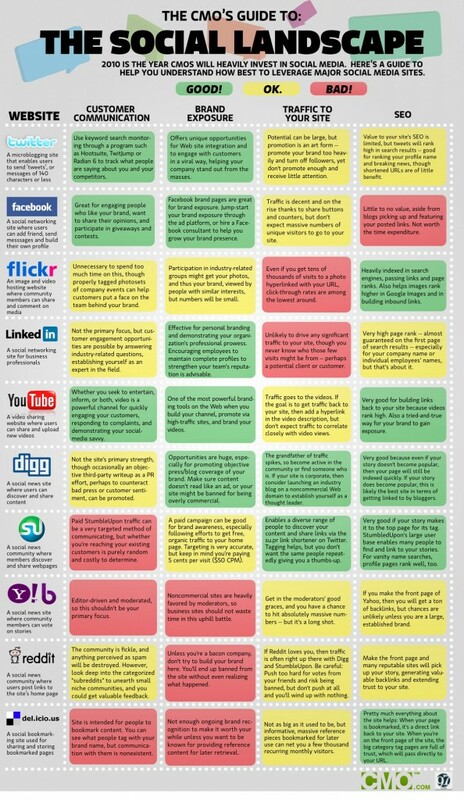 New social sites have since arrived, did your organization invest in Pinterest? Google+? Qzone? Plurk? Oh come on, at least find someone on you know active on KakaoTalk? Read what CMO.com says about 2014 and compare to 2015. Does your 2015 spend change? What do you like about the new format? Last one to VK is a rotten egg.